Chelsea are set to announce the departure of manager Antonio Conte after two years in charge. The Stamford Bridge club have so far refused to comment on reports in Italy that the former Juventus coach has left his post. Some of the Blues players have been less circumspect however, with Cesc Fabregas thanking Conte on social media and wishing him 'luck for the future'. Conte led Chelsea to Premier League title glory in a successful first season at the helm but his second campaign proved much less inspiring and, although they lifted the FA Cup at the end of it, they could only finish fifth in the Premier League and missed out on Champions League football. 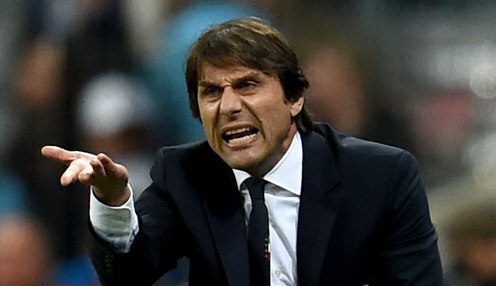 Conte was often publicly critical of the club's transfer policy, leading to talk of unrest. Maurizio Sarri is set to take over from his Italian compatriot at Stamford Bridge, something his club Napoli have been happy to confirm. Napoli president Aurelio De Laurentiis announced on Wednesday that "Sarri is close to being new Chelsea manager. My lawyers are in talks with his lawyers to finalise everything." Conte took pre-season training this week but his reign is close to an end, it seems. Fabregas wrote on social media this afternoon: "Thank you Mister for another Premier League title and FA Cup. It wasn't easy for me to convince you in the beginning but in the end I hope I did you proud! Good luck for the future." Chelsea are 12121/1 to win the Premier League title next season and 13/8 to secure a top-four finish.